Black Friday is almost upon us, and your inbox is probably full of big-box sale announcements and “doorbuster” deals! But, you don’t have to suffer through long lines or sidewalk campouts. We talk often about shopping locally, but here’s a reminder that you have a choice: do your holiday shopping locally, and you’ll support small businesses, help your community, and have a better time doing it. You may have already heard the statistic that 68% of dollars spent at local businesses stay in the community, compared to 43% when you shop at a national chain. But, what exactly does that mean? Money that stays in the community is used to support new jobs. When small businesses are growing, they need to create new jobs. That means hiring people in your community to do those jobs. When you spend locally, you support causes in your community. Local businesses have been shown to donate to community causes at more than twice the rate of big-box stores. 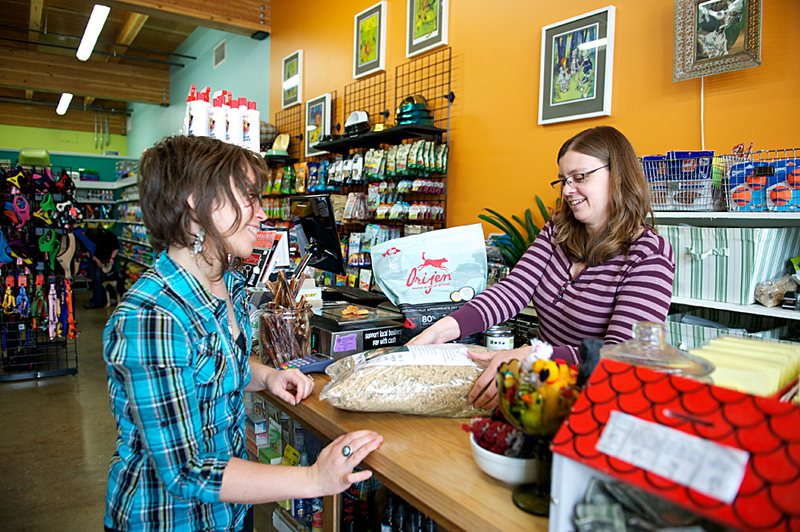 So, shopping locally could also be help your favorite non-profit, too. Shopping small creates more resources for your community. Taxes may not be our favorite thing to think about, but shopping locally also helps make sure that any sales taxes you pay get reinvested where you live. And, your local government will also be able to spend less on infrastructure and maintenance, and more on projects that improve your neighborhood. Supporting small business creates opportunity for other small businesses. When you support small businesses in your neighborhood, that lets those businesses spend more locally, too. That means creating opportunities for new businesses to emerge and grow, and for people like you to pursue work and ideas that inspire you. What if I Just Can’t Find What I Need Locally? Small businesses choose what they carry based on what people in their communities are purchasing–so, if you’re new to the area, they may not be carrying your favorite thing just yet. If you can’t find what you need now, you can still work towards conscious shopping choices. Get to know your local businesses–and ask for what you want! One of the great things about small business is that you can get to know the people who run them. And, when you know who you’re shopping with, you can often suggest new products that you’re interested in, or request something specific. If you have to go big-box, look for ways to benefit your community. If you have to shop at a large retailer, look for chains that are donating to causes you care about. A lot of chain shops offer opportunities to give an extra $1 or $5 (or more) at checkout. Or, if you’re shopping online, find out if a local non-profit can benefit from your purchases. For example: you can select a non-profit of your choice to receive donations through the Amazon Smile program, so even if you’re not buying locally, a charity in your community will receive a percentage of what you spend. Some credit cards also allow you to spend your rewards points on donations to non-profits–take a look at your membership website and see what options you might have. On any day of the year, shopping at small businesses is about making and strengthening connections in your community and investing where you live. We believe in investing in local business and local talent, and we know how much that can benefit the incredible people in our network of small businesses here in Portland. We hope you can start making community-minded choices when you shop this year, and carry that forward into the new year!